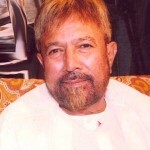 Kamal Rashid Khan got into an ugly fight with all the other housemates, so he is said to be evicted. 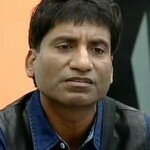 His eviction is still not sure but news is that he is asked to leave the Bigg Boss house. Today’s episode showed a fight started over the points given by contestants to each other for their performances during a task assigned by Bigg Boss. It started when Rohit said that he has given his 15 points to somebody in “CHARITY”, now Kamal Khan who just gave 5 points to Rohit’s wonderful performance knew that Rohit is pointing Charity word towards him, as Rohit had given 15 points to Kamal for his stupid performance. Kamal who goes Ga-Ga about his multimillionaire image couldn’t digest somebody doing charity to him. So in anger and asking Rohit to clear the matter Kamal lost his temper and threw bottle on Rohit which accidentally hit Shamita sitting next to Rohit. After that Kamal was tried to calm down by Vindu and Raju, but Raju took Rohit’s side which anger Kamal more and this took the argument to a very ugly point. All we could hear was beep-beep for about 15 minutes on tonight’s episode. All the other housemates decided to boycott Kamal Khan and wanted Bigg Boss to take some action. When there was no reply or action taken by Bigg Boss for hours, they all threaten to leave the show. Later on, to calm down the situation, all the contestants were asked to gather in the living area by Bigg Boss. Now the speculations are that Kamal Khan is asked to leave the show, but no one is sure about the eviction. I would say if Kamal leaves than there’s nothing left to watch in Bigg Boss. Kamal is Masala of the show. He should be just given some kind of punishment and let live in the house. His terror can be clearly seen on everybody’s face, that’s the reason I want Kamal to stay!